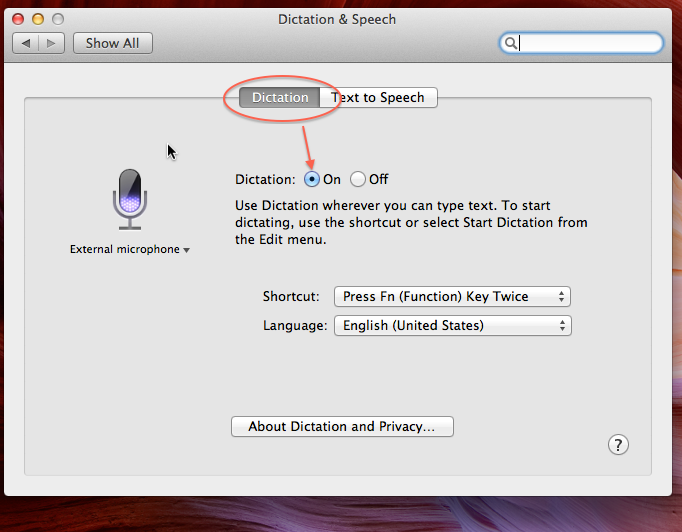 Dictation feature in OS X 10.8.3 with video guide shows how to activate and use Dictation software feature with Siri like icon. It works great with Apple Earpod. We can not give warranty nor have any claim that it is the future Siri of OS X 10.8.3. That someone claimed with wrong line of code to activate Siri in OS X 10.8.3. Apparently all shared with without proper protest thinking it as a joke – it simply tells the fact – none actually ran the command nor used Dictation before. Dictation feature in OS X 10.8.3 works with most Text tools like Notes, TextEdit, Sticky, search field in iTunes, Terminal and so on. In other words, clearly this guide on using Dictation Feature in OS X 10.8.3 is not a hack to activate any hidden feature. As human speaks the same English Language differently, it demands region specific activation. Currently it supports U.S, UK and Australian English speakers. It can also automatically detect French, German and Japanese. But it does not support Indian English. So, you have to accept a pop up dialogue that will tell you that translates to the fact – your words might not be ‘heard’ rightly. Overall, its good, a kind of fun. It is very unfortunate that, the speech to text conversion takes place on Apple™s remote servers and not on the Mac – Mac needs to be connected to the Internet. Normally, you should be able to see the Dictation and Speech Option under System Preferences. It is obvious that all will not work, because Siri and Dictation Feature in OS X 10.8.3 are different. This Article Has Been Shared 2503 Times! 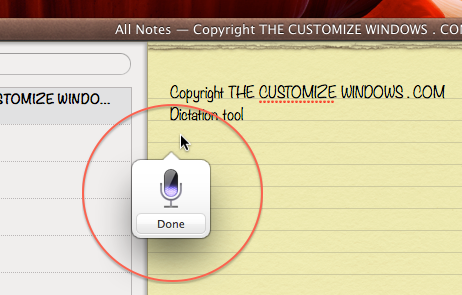 Cite this article as: Abhishek Ghosh, "Dictation Feature in OS X 10.8.3 With Video Guide," in The Customize Windows, May 27, 2013, April 25, 2019, https://thecustomizewindows.com/2013/05/dictation-feature-in-os-x-10-8-3-with-video-guide/.